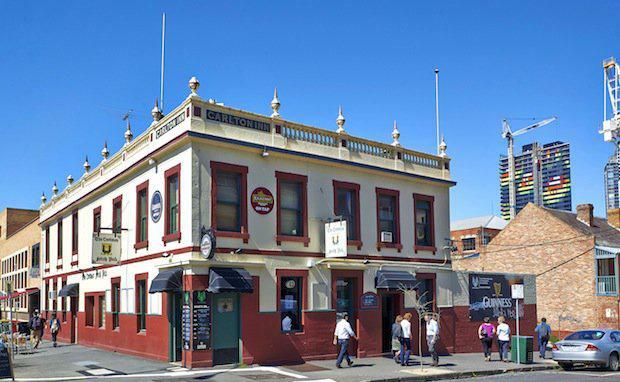 Corkman Irish Pub at a hotly contested auction for $4.76 million - $1.56 million above reserve. Located at 154-160 Leicester Street in the inner city fringe suburb of Carlton, the historic two storey pub, formerly the Carlton Inn, is located on a prime 456 square metre corner site surrounded by several Melbourne University campuses and a short distance from the vibrant Lygon Street. Carlton is one of Melbourne’s premier city fringe suburbs, epitomising the Melbourne café culture with an extensive variety of cafes, pubs, restaurants and bars. Carlton’s residential population is projected to increase more than 6 per cent from 2011 to 2018.